A significant portion of newly appointed directors are first-time directors with limited (if any) experience in the boardroom. A key factor to successfully integrating new directors and providing them with an opportunity to make meaningful contributions is through the onboarding process. Onboarding varies greatly from organization to organization, however, the more robust the process, the faster a new director can build a strong foundation for informed oversight. Our expert panelists, including both new and seasoned directors, will discuss the many issues that should be addressed when joining a board and will provide insights from their own unique experiences and perspectives. Director, Iteris; Chief Financial Officer, NEO Tech. Kevin C. O’Boyle has over 20 years of executive management experience in the medical device industry. He currently serves as a director of Wright Medical Group N.V. (WMGI), a global orthopedics company since June 2010, GenMark Diagnostics (GNMK), a company that provides multiplex molecular diagnostic solutions since March 2010, Nevro (NVRO), a global medical device company focused on the treatment of chronic pain since March 2019 and Sientra (SIEN), a medical aesthetics company since July 2014. Mr. O’Boyle served as the Senior Vice President and Chief Financial Officer of Advanced BioHealing, a medical device company, from December 2010 until it was acquired in July 2011. From January 2003 until December 2009, Mr. O’Boyle served as Chief Financial Officer of NuVasive, a medical device orthopedics company. Prior to that, he served in various leadership positions during his six years with ChromaVision Medical Systems (CVSN), a medical diagnostics company focused on the oncology market, including as its Chief Financial Officer and Chief Operating Officer. Before that, Mr. O’Boyle spent seven years with Albert Fisher Group PLC (FSH) an international food company, where he held several leadership positions including Chief Financial Officer and Senior Vice President of Operations. 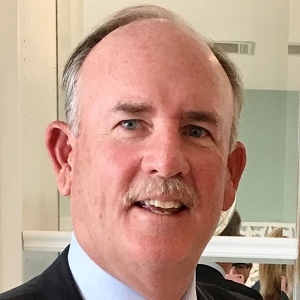 Mr. O’Boyle previously served as a director of each Zeltiq Aesthetics (ZLTQ), a medical device company, from July 2011 until it was acquired in April 2017, Durata Therapeutics (DRTX), a pharmaceutical company, from April 2012 until it was acquired in November 2014, and NeoTract, a medical device company, from April 2017 until it was acquired in October 2017. Mr. O’Boyle received a Bachelor of Science in Accounting from Rochester Institute of Technology and successfully completed the Executive Management Program at the University of California Los Angeles, John E. Anderson Graduate School of Business. Ms. Siegal is a public company director and results orientated leader with over 30 years of experience providing strategic guidance and operational oversight, with a passion for business success and talent growth. She has significant experience with strategic initiatives addressing opportunities and changing cycles resulting in successful business transformations. Her strengths include developing talent, integrating domestic and international teams, providing technical and financial oversight for public equity offerings, private placements, public and bank debt offerings, mergers and acquisitions, divestitures, and interactions with the SEC. She is on the Board of Iteris (NASDAQ: ITI) and Chief Financial Officer for NEO Tech. Iteris is a technology company focused on applied informatics in the transportation and agriculture markets. Siegal is Chief Financial Officer for NEO Tech, a leading provider of electronic solutions to original equipment manufacturers in the aerospace & defense, medical and industrial high reliability markets. She is responsible for the company’s strategic growth and financial initiatives. During her 5 year tenure at NEO Tech, the company has had significant revenue growth and has diversified its market sectors from Aerospace and Defense into other high reliability areas in the Medical and Industrial sectors, has added eleven manufacturing facilities in North America and one in China and has grown from 300 employees to 3,800 employees. 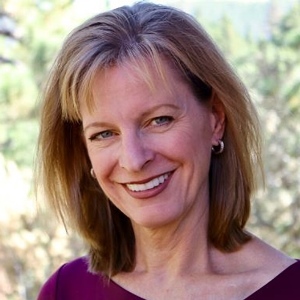 She also serves on the Supply Chain Executive Committee of Aerospace Industries Association. 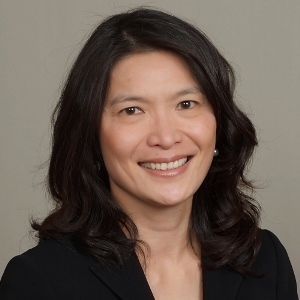 Prior to joining NEO Tech, she spent 13 years at Kratos Defense & Security Solutions, Inc., (NASDAQ: KTOS), where she served as vice president and corporate controller and vice president of finance and treasurer. She holds a Bachelor’s degree in Economics from the University of California, San Diego and is a CPA. 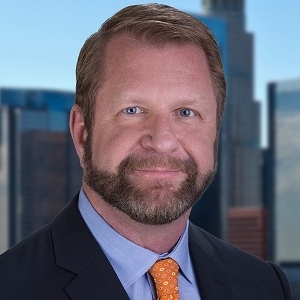 Based in Los Angeles, John Wasley is a member of Spencer Stuart’s Financial Services, Real Estate, Private Equity and Board practices. John focuses on C-level positions in the financial services and real estate sectors, and on board roles across a variety of industries. During his nearly 20 years in executive search, John has represented a wide range of private, public and private equity- backed companies. He has worked on assignments in the U.S., Canada, Europe, Asia and the Middle East. Prior to joining Spencer Stuart, John was a lead partner in the board and CEO practices at another executive search firm, where he launched the firm’s real estate and board practices. In addition, he helped establish its market presence on the West Coast and recruit a variety of partners, consultants and associates. Before this, John worked for two other international executive search firms. He joined one as a partner in their financial services and real estate practices and held a variety of management roles. At the other search firm, he was an executive director with a focus on real estate, construction and private equity. John began his career in real estate at Wedgewood Investment Corporation, a Los Angeles-based real estate opportunity fund, and served as its chief financial officer. He subsequently became the chief development officer for Wedgewood Development Company. John entered the banking industry as part of the restructuring team to recapitalize and re-charter a $8B California- based thrift, where he led the special assets, loan origination and real estate groups. John has a bachelor’s degree in English from the University of California, Los Angeles. He serves on the corporate boards of the Federal Home Loan Bank of San Francisco and Jerome’s Furniture in San Diego. Vivien has served on the Board of Jack in the Box since April 2017. She is currently the GM of New Venture at lululemon, responsible for developing and scaling the company’s first new venture outside of its apparel & accessories business. Prior to this role, Vivien was the Chief Strategy Officer at lululemon, responsible for setting the company’s vision & strategies, market development plans, global pricing strategies, and managing the office of the CEO. Vivien started her career at Bain & Company, focusing on market entry strategies, process improvement & private equity due diligence across Greater China, Southeast Asia and Australia. From 2002 to 2008, Vivien led strategy development at Starbucks’ Retail and Product organizations, driving comp, retail unit growth and international expansion. From 2008 to 2011, she worked with non-profits and philanthropies to provide strategic support & consultation to improve the quality of life of underprivileged populations globally through access to education, health services and interventions to improve their livelihoods. Vivien is married to Kai, her husband of 20 years, and has two sons, Alex and Connor. She loves connecting people through cooking and entertaining. Her favorite way to sweat is power vinyasa yoga.